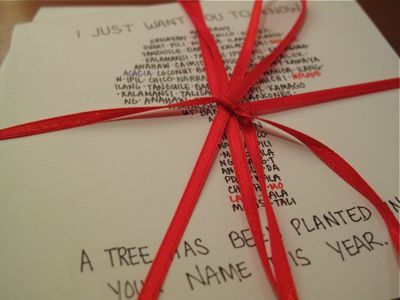 It is such a simple present, but incredibly meaningful. There is nothing like watching a hardwood tree grow and mature and if we all simply planted a tree or two or three per year, that would be a huge improvement to the environment we live in. 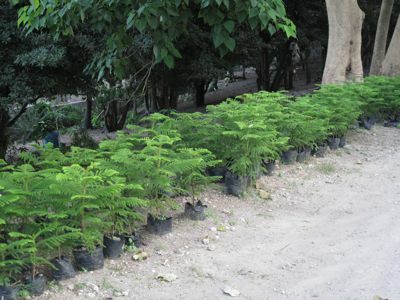 At PHP10 for most small trees from your local Department of Agriculture nursery or the Manila Seedling Bank, this effort costs nothing at all. 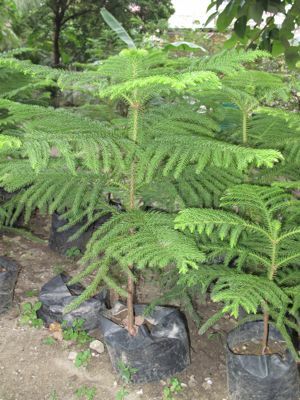 We stock narra trees as they are a family favorite and once they are out of these plastic bags and in the ground, they can grow at an astounding pace! That is one very cool idea. Indeed it is a nice reminder of our responsibility to this planet. There is nothing more refreshing than seeing pockets of green in a concrete jungle. 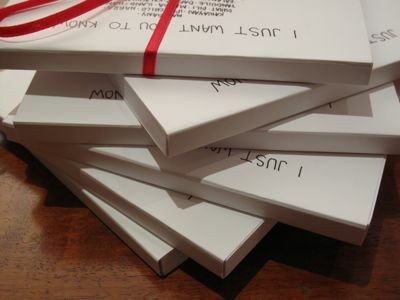 I wonder if the notepads were made from recycled paper? Thanks for the bamboo propagation idea, MM. I wanted to make a screen of bamboo in some parts of my property ( still have to figure a way of containing them) and now I know how to propagate them. In Palawan where we own a home, we planted trees representative of whatever hardwoods we used ( this was before the log ban) in the construction and continue to plant and propagate native species whenever we can. I also now have two ylang ylang seedlings that have grown at PHp 5 a plant from the local Department of Agriculture Nursery. we used to have one of those pine trees here on our property in Makati. i can’t remember what happened to it, but i have a vivid memory of it.. what plant nursery is your source for all those seedlings? they’re a nice idea for christmas presents, for people who have the space to grow them. 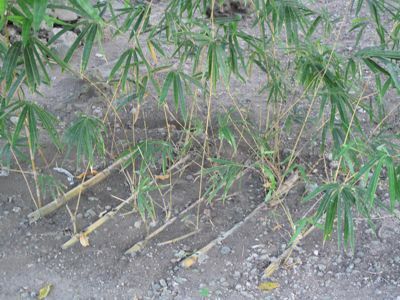 I am clueless how they start bamboo seedlings. Now I know thanks to you. You made Al Gore so proud of you. He is the Godfather and Founder of global warming and green revolution. Yes, more trees surrounding us the cleaner the air we breath! The Teenâ€™s Christmas Gifts is very impressive and environmentally friendly to ensure clean air for the next generation. Good idea Teen and keep up the good work!! It’s nice to see that The Teen has been taking your examples of helping others and the environment to heart. :-) Not to mention, your eye for simple but elegant design! Awesome idea from The Teen. She definitely has learned by (a great) example. Keep up the good work! The environment thanks you. Where is Manila Seedling Plant in QC? Please share the address, uutusan ko yung hipag ko to purchase some trees (for shade and fruits) para itanim sa small farm ng Nanay ko sa Quezon. My relatives there cannot get good ones from the available nurseries nearby. Thanks. You have a very smart kid or should I say Teen. I am always in awe of people who’d think of giving back to Mother Nature since its pretty rare these days, especially at that age when teens are usually more into themselves than what’s going on around them. =) You’re raising her very well, MM. Kudos to you and Mrs. MM for raising such a responsible and thoughtful daughter. I hope we will be able to do the same to our kids. I like her gift idea except that we’re done with the Christmas shopping. But I’ll keep this in mind for some other occasion. My siblings and I did the same in 2006. 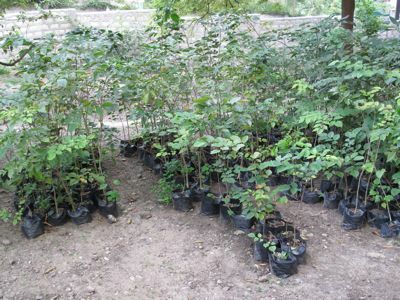 We got our hardwood seedlings from UP Los BaÃ±os Forestry and we could not believe how inexpensive the trees were – bagtikan, kamagong, narra, mahogany and a whole range of others we did not even know existed – from 5 pesos upwards, depending on the size of the planting pot. My brother recently has an interest in pepper vines and he has contacted a Mang Ato Belen from San Pablo City. My brother says that Mang Ato sells all sorts of fruit trees – dayap, mango, sampaloc, etc – as well as paminta vines at his organic farm, all ready for transplanting. Next year, MM, it would be a wonderful fund-raising activity for your feeding program for sponsors to donate money for your students to plant trees in their own schools. RE: recycled paper. There are 2 places I know which make paper from indigenous materials and recycled pulp. They are actually paper exporters, but you can still purchase in small quantities. One is the Sto. Domingo Handicrafts in Sto. Domingo, Albay and another is Los BaÃ±os Handmade Paper along the highway. 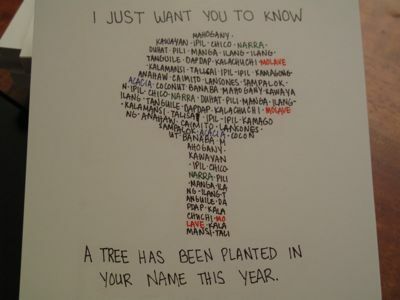 MM, i hope you’re planting Philippine Mahogany. Many garden or plant stores sell the ones imported from Malaysia (i think) and they just grow up straight. The Philippine Mahogany is much much more majestic, although with smaller leaves. Kudos to the Teen’s creativity, to you and Mrs MM’s many relevant personal civic projects! It is very inspiring to note such endeavors and also some commentors’ ideas! I have been also trying to grow some bamboo trees in our garden but they also seem to like a definite amount of moisture and rainfall! I have tried several times kaya i know this fact. Maybe I try again in summer. They can be so expensive in Manila (I like kasi the Japanese bamboo) and also cumbersome to be carried in a backpack! Please correct me if I’m wrong. But isn’t the Manila Seedling Bank the one along EDSA? When I ride the MRT headed North, I see it from up above. It is just before Trinoma Mall. All i can say is, “Kung ano ang puno, sya rin ang bunga”. You have raised the Teen well Mr. MM, you are a good example to her. I wish i can plant trees with my kids too, but we don’t have the space for them (the trees)…, sayang!! EbbaMyra, Manila Seedling Bank is at EDSA cor Quezon Ave., not very far from the weekend market in the Lung Center compound. If you go on a Sunday morning, you can visit both places in one trip. Hats off to you and your family. It’s amazing how you could remind us (me personally anyways) of the the things we could do or we’ve been wanting to do but just got put on hold to help our environmnet. Bro, you inspire a lot of our kababayans to do better and appreciate a good life. May the peace and blessings of G-d almighty be upon you and your family. Besides, the paper pulp industry is responsible for planting most of the trees in tree farms around the world (you didn’t think paper came from rainforest trees, did you?) A healthy growing global appetite for virgin paper products would encourage more tree farms and thus, more trees in the world. Instead of recyling paper, plant trees in any available piece of land like what MM and family are doing. wow, this is an amazing idea from your family, with your timely concern about carbon footprints. I am part of a climate change work and it is amazing to learn that there are people like you who have personal initiatives to help our environment. you are so great as a family…may you inspire more and more people!!! Do you know where I can get bamboo seedlings? Hi, I really like the idea! I am actually thinking of giving herbs for Christmas but your idea is better. Honestly I have no idea where to start. How do I go about it? Thanks. You know those people whom you can’t seem to think of a gift for? I think you have given me a wonderful idea for birthday presents and all other kinds of presents for them.